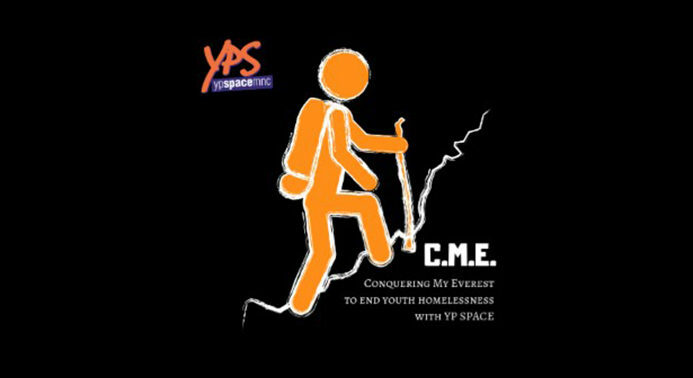 The YPS Everest Base Camp Community Challenge team heads off to Mt Everest on 17th April 2019 (Youth Homelessness Matters Day) & we are inviting YOU to join us through the ‘Conquering MY Everest’ campaign. Pick a personal challenge they want to conquer- it might be learning a new language, learning how to ride a bike, give up smoking, lose a few kilos, put on a few kilos or take over the world! Sign-up to the #CME & pay $20 to receive a #CME pack. The pack contains all the information you need to be part of the online community campaign & share your journey with other participants. Help YPS spread the message that Youth Homelessness Matters & our community supports YPS in our goal to END YOUTH HOMELESSNESS. Conquer your personal challenge at the same time the YPS Everest Team conquers the Mountain.